Will I be able to invest in new equipment? Can I afford to hire a new employee? Will I have enough funds to pay my vendors on time? Will I meet payroll this week? When you own a small business, worry is part of the territory. According to research firm Gallup, nearly half (49 percent) of small business owners say it is “extremely difficult” to manage their current debt load. Coping with debt is so difficult, in fact, that it plays a major role in the high failure rate of these small companies. What can you, as an owner, start to turn the tide? What credit solutions are available, and how can you create a budget plan that enables you to meet your goals? To obtain a working capital loan, businesses need to be at least two to three years old. This leaves many nascent companies behind. After submitting a credit application, it takes a week or more to hear back from a bank. If you are experiencing a cash flow crunch, this is about seven days too long. 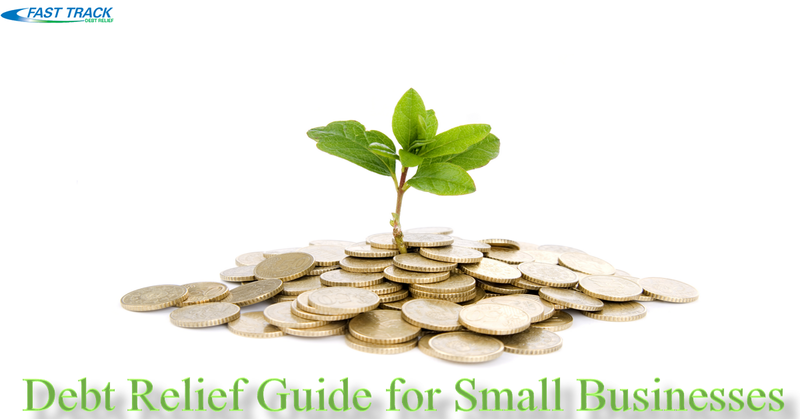 Many small businesses are unable to find funding sources. Many owners resort to tapping into retirement accounts, asking family and friends for loans, and using their own savings for funding. Big banks approve only about 20 percent of the requests they receive from small businesses. Small business loans have declined since the Great Recession of 2008. All of these statistics add up to one undeniable fact: obtaining traditional credit is a difficult, lengthy, and often fruitless process. While you know you’re sliding down into debt, do you know why? Do you know exactly what’s going on in the murky depths of your business finances? Delve in and find out. Look at your budget to get a better handle on income sources and costs, both fixed and variable. As a small business owner, you likely do not have the capacity for a full-time, in-house finance professional. Luckily, there are alternatives. You can tap an as-needed accountant, utilize budgeting and accounting software, or seek help from nonprofits like SCORE Association. SCORE is made up of thousands of volunteer business counselors who provide mentoring, advice, workshops, and more. Businesses that cannot afford high-level financial help are the ones that need it those most. Fortunately, there are alternative routes for you to explore. Now, why didn’t you think of that! It sounds too simple to be useful. But there’s no escaping the fact that to escape debt, you need to trim the fat and increase revenue. It’s the “how” that can be challenging. Let’s look at increasing revenue. You can do this by offering sales and discounts, of course. But if that doesn’t fall in line with your pricing strategy, you can also increase productivity. Can you, for example, boost employee skills and output with training, enabling them to serve customers more effectively and efficiently? Another option is to reexamine your vendor agreements. Will a supplier give you a discount for prompt payment? Is it time to consider a new vendor who can offer more attractive terms? Don’t get complacent: search for the best deal and either take it or use it as leverage to negotiate. Think of creative ways to increase revenue, from implementing just-in-time inventory methods to appealing to a new demographic. When it comes to spending less, it is helpful to go back to the budget. Look at expenses you’re paying for each month that are not providing the necessary return. Is that $200 membership to the trade association paying you back? No? Consider opting out. Is your office space too big? What if you downsized to a smaller space? Some decisions are more painful; for example, is it cheaper and more efficient to have a virtual assistant than a person filling that role? The worst step you can take when you are dealing with debt is to do nothing. Reach out to creditors, such as your credit card providers, and ask for more favorable terms. You can, for example, request a lower rate, which can save you significant amounts of money each month. Some vendors or suppliers may be amenable to payment plans or other alternatives. You won’t know until you ask. As difficult as it is, you have to be proactive about managing debt. Another worst step: creating a snowball effect when it comes to your debt. For example, your credit card company may convince you to transfer all your balances to them so you can consolidate them in one easy payment. What they leave out is that payment is often exorbitant and carries a hefty interest rate. At best, you’re simply paying interest each month. At worst, you miss a payment or pay late and end up with extra charges on top. It is extremely difficult to pay down debt this way. What’s a better alternative? Debt relief programs that actually negotiate your debt down, rather than simply roll it into an ever-growing pile of liability and stress. Under such agreements, you pay the debt company monthly and watch your debt begin to disappear. It is not quick and easy; it is a process, but one that offers you a streamlined solution aimed at getting you out of debt for good. Debt is a big problem for small businesses. Take action now to mitigate your risk and ensure you have the funding you need to grow and thrive. If you need help, reach out to an accountant to debt relief specialist to help you take the first important steps towards financial freedom.